When it comes to ERP trends, best-of-breed is out as the move is clearly toward integrated solutions. According to a recent study, mobile BI and managed services are also becoming increasingly popular. Selecting and implementing an ERP solution is always a key strategic decision for CIOs. However, the introduction of enterprise software is anything but trivial, and in many ways, is a mission-critical investment. When choosing an ERP system, 88% of CIOs prefer an integrated IT system. These promise seamless and more stable business processes. Only 11% of IT directors prefer to map business processes based on a best-of-breed approach that uses multiple tailored solutions. This is according to the “ERP Trend Report 2013,” for which Hamburg consultancy Softselect surveyed some 340 small to medium-sized processing companies from across the DACH region (Germany, Austria, Switzerland). According to Aberdeen, 96% of best-in-class growing businesses – the top 20% of performers – have implemented ERP solution. That’s a huge percentage – enough to consider ERP systems mission critical to the success of high-growth small and midsize companies. And when you think about it, ERPs geared for SMEs make perfect sense. You have the same kinds of processes to support as large firms: procurement and logistics, manufacturing, customer-facing processes like sales and support, finance, HR, and more. You can either manage all of this with systems that can’t interact with one another, can’t track business processes, that can’t generate the accurate data you need to understand business performance – or you can simplify with an ERP. ERPs act as single business systems that centralize core business data and support core operations, processes, reporting, and more. They help organizations of all sizes to face their challenges and as a single business system, they support visibility, efficiency, and decision-making. At the same time, they make work faster and easier with automation, seamlessly integrated processes, and easy access to accurate, trusted data. In addition, best-in-class growing businesses reportedly can easily find and use the data they need, no matter where they are, to make fast, agile decisions; Aberdeen research shows that ERPs reduce the time it takes to make decisions by 36%! Why? Because the processes ERPs support work from and contribute to a single source of truth to support visibility, efficiency, and decision-making. 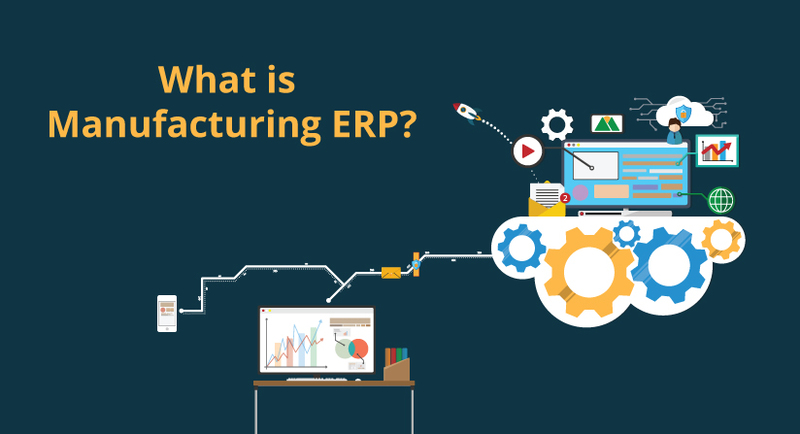 Have you thought about running your business on an ERP? Or are you still using point or stand-alone solutions for finance, customer management, HR, and other core operational areas? I guess the real question is, given the competitive edge that ERPs provide – and their ability to make work and life easier in a small or midsize business – can you afford not to move to an ERP?